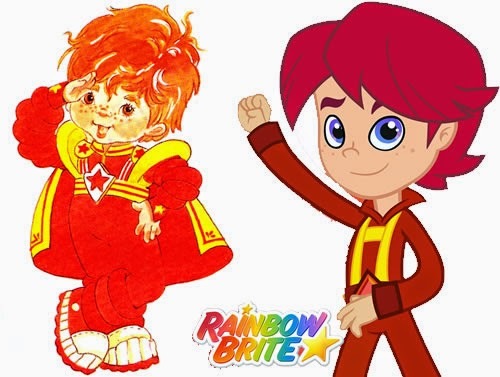 If you haven’t heard yet, I wanted to let you all know about the NEW Rainbow Brite Animated show! After 30 years our favorite color sparkler is back with an all new look and fun adventures on Feeln. It's a video streaming services featuring family friendly programming. 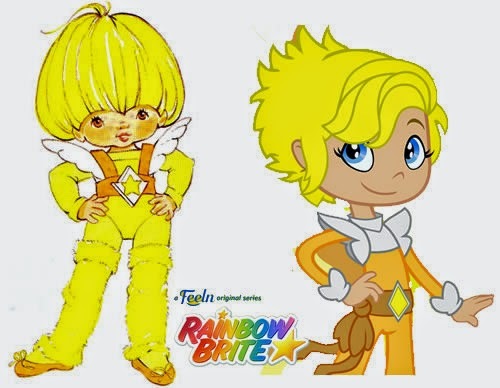 The new trailer for the new Rainbow Brite was released last week. And I have to admit I was afraid at first. I was scared because I actually liked what I saw and I felt I was betraying the first Rainbow by liking it. 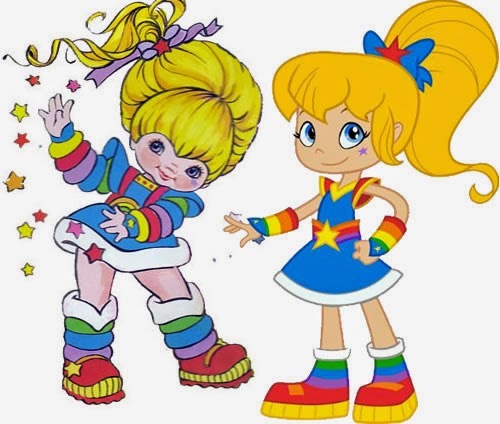 I love the original Rainbow Brite. She has been a part of my life for decades and she holds a special place in my heart. Several times in the past they have tried to replace her for a new generation and it hasn't worked. I have hopes for this new Rainbow. In the beginning of the Trailer she is hyper and joyful and her happiness is infectious! They have kept her young and fun and I think kids today will love her! The new Rainbow is not mine, and I love my Rainbow, but I am also loving this new one. I've thought about it a lot since the release and I have concluded that I am not betraying her, my childhood or my fandom! Those memories are safe in my heart. There is a Rainbow in my heart, painted there decades ago, and it can't be replaced. 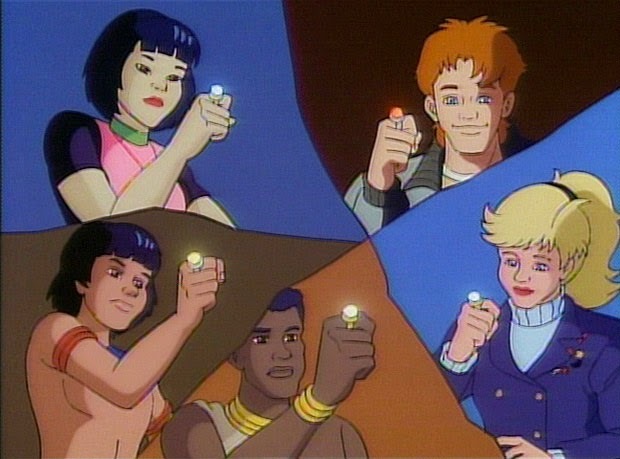 But I think the new generation deserves their own Rainbow. I know she is different, but kids today are different. I don't expect them to be the same as I was growing up. I was born in a time before the internet, and things are different. I have nieces and nephews that are nothing like me when I was a kid and I'm GLAD. I want them to be just as happy as I was if not happier, and that means things change. But as things change that doesn't mean we forget about the past. 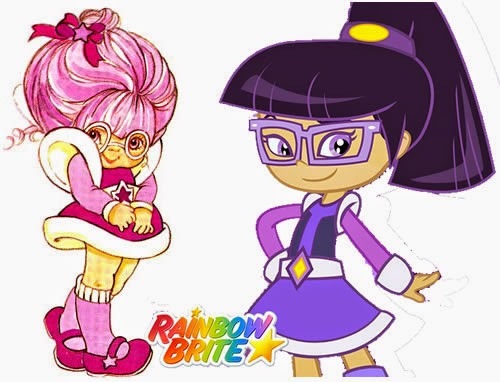 This new Rainbow Brite show has shown us several things from the original show, not continuing it, but remaking it for a new generation. I see my Rainbow Brite in this new show. 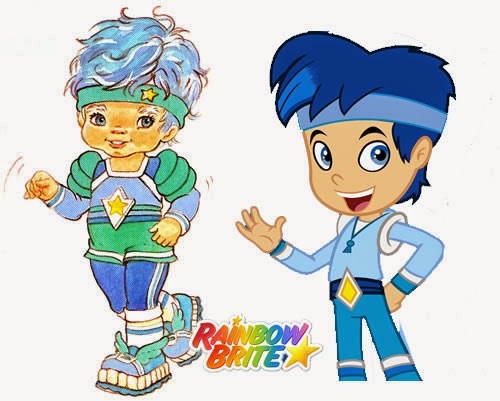 So far we've seen a new color castle with color kids, sprites, Starlite, Rainbow Brite and Brian! The Key to Rainbow Land, the pits, etc. I DID NOT say that meant they had to remake the original show in the same style. I think the new show has included everything I had hoped they would. They are remembering us, honoring us, and this makes me excited. 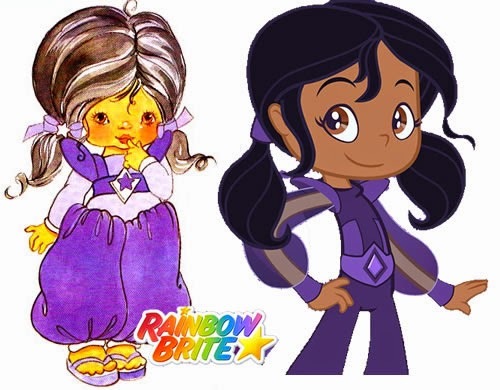 Yes, the new Rainbow Brite does speak differently but kids today do speak differently. From “OMG” to “SELFIES! The 80s slang things were awesome, rad, rude, and it made that era fun. History has a way of repeating itself. For example when I was in High School I was wearing vintage clothing my parents wore. When I go to the stores now I see the fashions I used to wear when I was about 10 or 12 years old. I never thought I would see the generation where my childhood would be repeated. But it also reminded me how my parents may have felt about my generation re-hashing theirs. Still its not a bad thing. In relation to cartoons, there were cartoons rebooted in my childhood, even your childhood that were popular in decades before for us: For example: Let me bring up two of the most popular characters in history. Too large a comparison? Then lets look at Garfield. These are characters you love and have a special place in your heart, but they didn't always look like you remember them. And that is just what makes a generation. It doesn't erase the generation that came before, but in enriches its history. 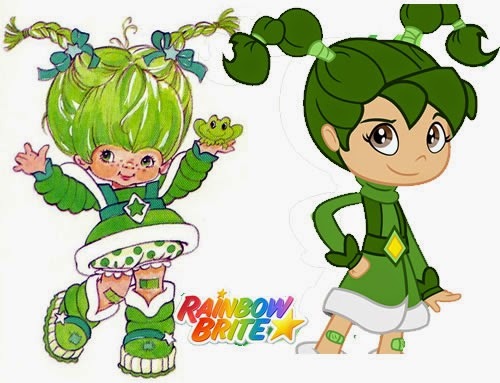 Rainbow Brite deserves another chance. She has waited so long and I want to give her this chance, not for me, but for every kid I know who I know will love this Rainbow. Feeln offers streaming family friendly programming for $4.99 a month or $47.99 a year.